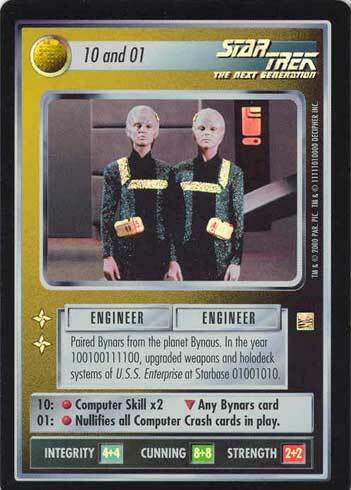 Paired Bynars from the planet Bynaus. In the year 100100111100, upgraded weapons and holodeck systems of U.S.S. Enterprise at Starbase 01001010. 01: • Nullifies all Computer Crash cards in play.